Littleton, Colorado, USA – WEBWIRE – In time for the 2018 Flatirons Tour of Homes, Colorado homebuilder, Epic Homes, has just introduced its Pinnacle plan in Broomfield Colorado’s popular Anthem community. Combining the best attributes of its acclaimed Summit and Ascend plans, Epic’s Pinnacle plan features a jaw-dropping master bath, a spacious and versatile kitchen that allows for a great deal of cabinet and appliance flexibility, a stunning grand room with twenty-foot ceilings, and plenty of other “wow-inducing” design elements. 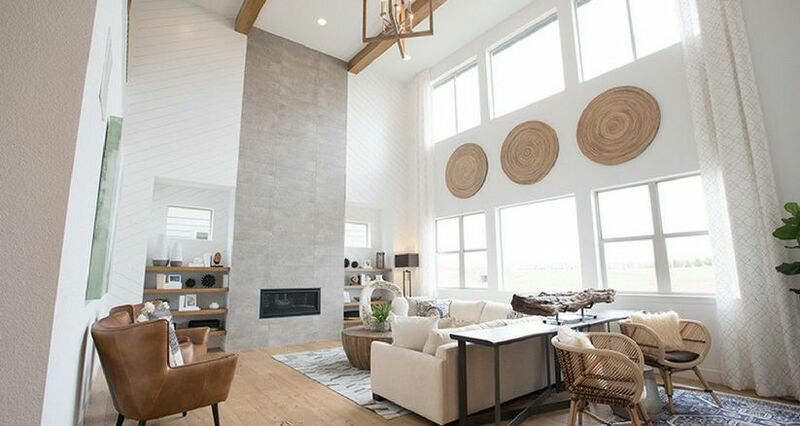 Accommodating an unusually wide variety of home buyer lifestyles and life stages, five different home plans in Epic’s Anthem Highlands, and recently-introduced Anthem Reserve communities, range in size from 2,462 to 6,125 square feet and from two to eight bedrooms. Each model in the series offers imaginative innovations to suit a wide range of home buyer needs and wants. Buyers continue to appreciate Anthem Colorado’s slew of family-friendly amenities, including: numerous parks, trails, playgrounds, ponds, two recreation centers, and a brand new on-site P-8 school that is part of the highly-regarded Adams 12 Five Star School District. The community’s prime Broomfield location means that it is close to Denver and other world-class Colorado attractions, as well as major universities, transportation, employment centers, local conveniences, entertainment, dining, and nightlife options.